We celebrate the appearance anniversary of Sri Chaitanya Mahaprabhu on the following Sunday, 16 March. We have decided to host a festival over the entire weekend starting with a kirtan on Friday night and ending with a feast on Monday morning. Lord Chaitanya introduced the simple and sublime method of developing love for God by the chanting of the Hare Krishna maha-mantra. Prior to Lord Chaitanya, spiritual knowledge and practice were only available to the brahmanical class but Lord Chaitanya changed the course of history by opening it to all who desired real love. It is unfathomable to think that this maha-mantra can awaken our love for God and is the real peace formula. Therefore Lord Chaitanya is accepted by all the great spiritual masters as the most munificent incarnation. The dictionary explains munificent as “characterised by or displaying great generosity”. We at Sri Sri Radha Radhanath Temple have made special arrangements for everyone to honour Lord Chaitanya. On Saturday, 15 March we have scheduled a spectacular boat festival. 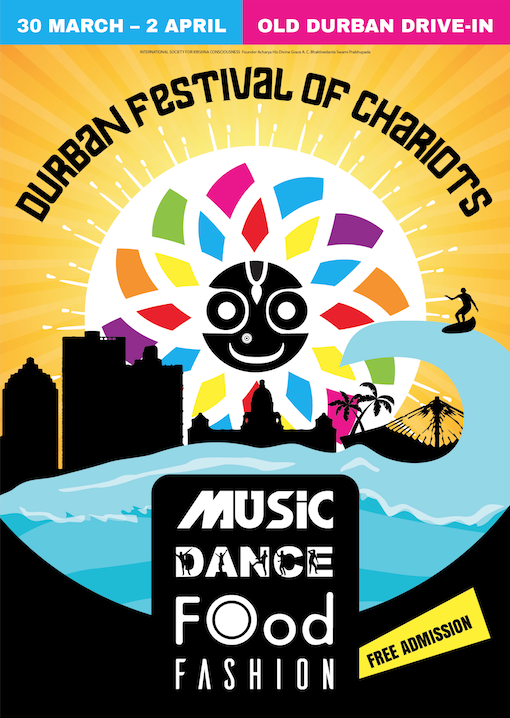 You can also bring food offerings to offer to our larger-than-life deity of Lord Chaitanya and there will be chanting parties all over Durban. On Sunday, 16 March, Sri Gaura Purnima, you are invited to mangal-arati at 4.30am. Sri Sri Radha Radhanath will be offered a new outfit. As a special offering to Lord Caitanya, we are creating a chanting park where anyone can come and chant 108 maha-mantras, thereafter you can sign a register and your name will be read to Lord Chaitanya on the altar. It will be your personal service to Him. 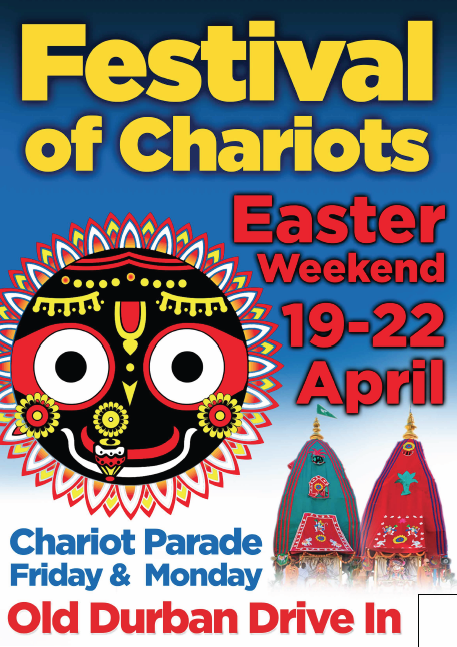 The festival will have the usual elements: abhishek, discussions on Lord Chaitanya, kirtan, etc. 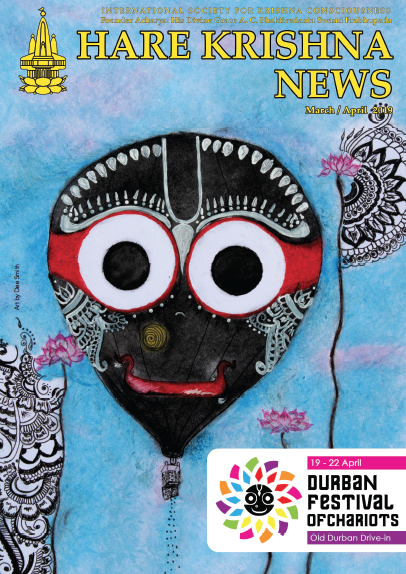 The main arati of the festival is sandhya-arati at 7pm. We encourage everyone to come and raise your arms in the air like Lord Chaitanya taught us, and let the holy name resound. After the arati, maha-prasad will be distributed from the altar. 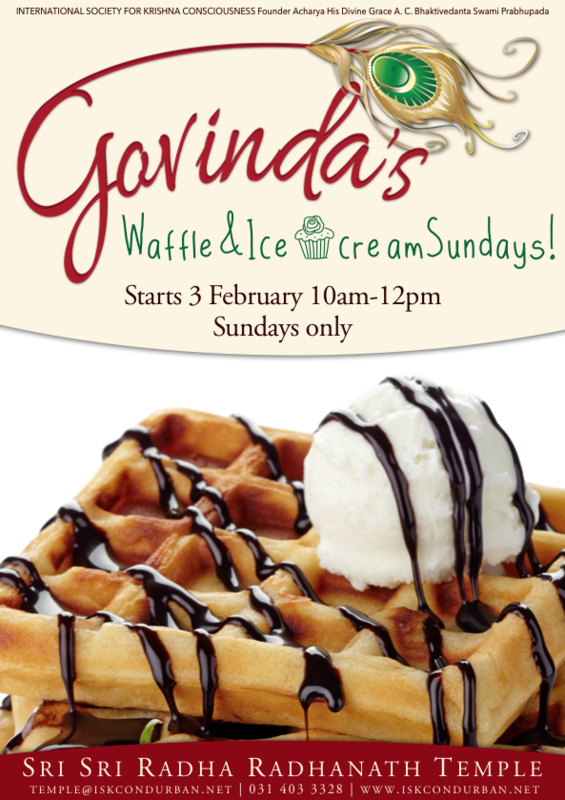 More details will be published early next week. 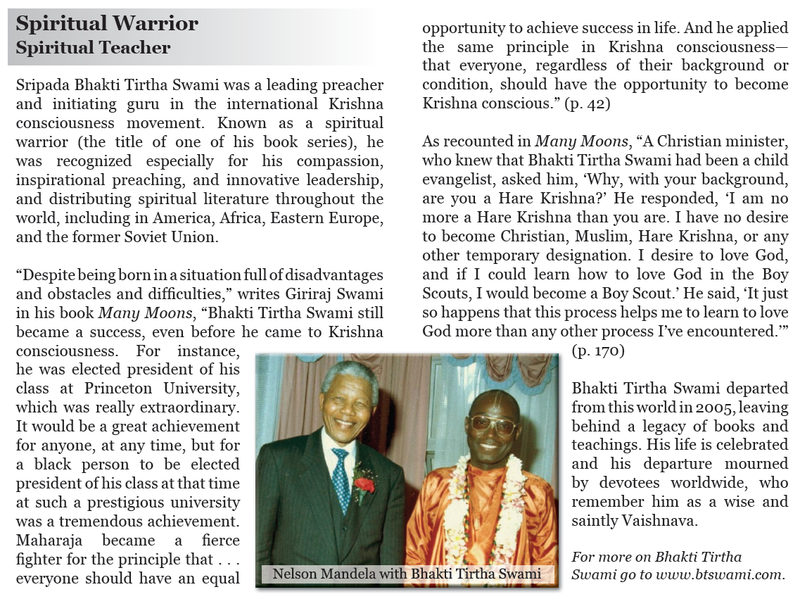 You can read about Maharaja in the attached article. Devotees are invited to bring bhoga offerings for Maharaja.